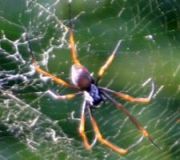 Spider silk is stronger than steel and even Kevlar, and the spider’s chemical machinery is the envy of chemists (see God’s webspinners give chemists free lessons). It is also heat resistant, so it can be sterilized easily (see Hot spider silk). It’s thus not surprising that medical technicians spin spider silk to make mats and sponges, using them as scaffolds for growing human cells. If the scaffold could be stiffened, then the cells grown upon it could more easily fuse with bone cells when attached to living bone. 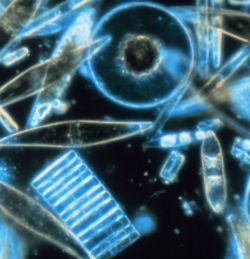 Now a team of biomedical engineers from the UK and USA have worked out how—by borrowing the technology of single-celled algae called diatoms. They use glassy silica beads to strengthen their shells. To make the beads, they use a special peptide (mini-protein) called R5 to form precipitate silica into the beads. So the researchers combined genes from the two creatures. That is, the gene that forms the spidroin protein used for the dragline silk from the golden orb-weaver spider (Nephila clavipes), and the R5 gene from the diatom Cylindrotheca fusiformis. They inserted this modified gene into bacteria, which then produced the ‘chimeric’ protein, i.e. combining the features of different creatures. The researchers then spun this protein into silk strands and inserted them into a silicon-rich solution. The R5 in the silk caused tiny (2 µm across) silica beads to form and coat the silk strands. The researchers found that they could control the processing conditions to produce films and fibres. 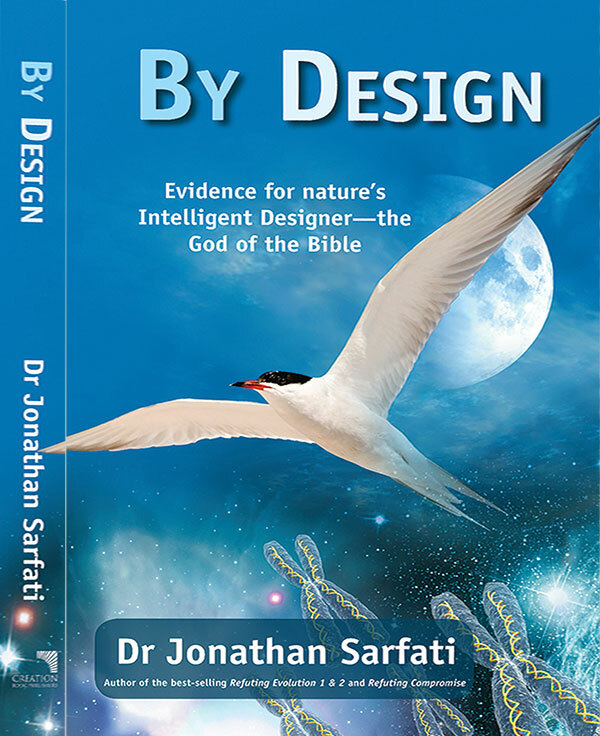 It’s really not so surprising that human designers could combine the design of two creatures, since humans are made in the image of the Designer. Cheryl Wong Po Foo and eight others, Novel nanocomposites from spider silk–silica fusion (chimeric) proteins, Proceedings of the National Academy of Sciences 103(25): 9428–9433, 2006 (10.1073/pnas.0601096103); see PDF.